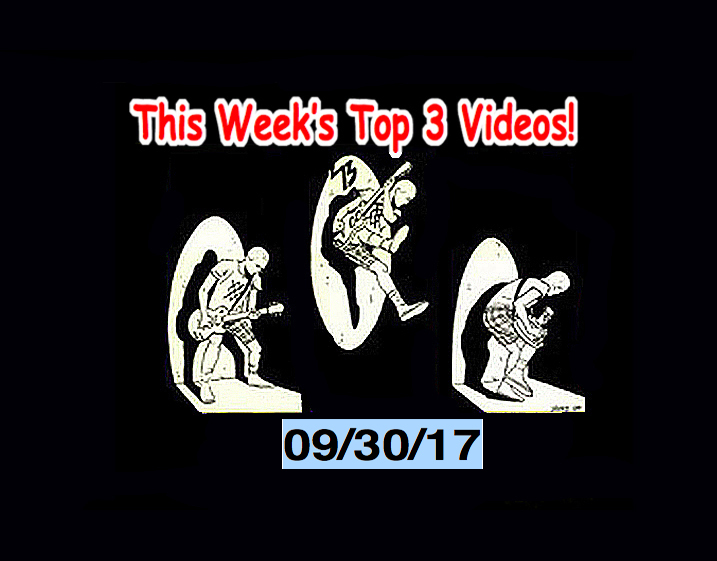 Top 3 Videos 9/30/17! The Neatbeats (Jpn! ), Lola Pistola, The Jacques, MeMe Detroit! It’s time once again for the Top 3 Indies Artist Video Countdown of the Top 3 best Indies and Alternative Music artists for the week of Sept 30, 2017! First up, are a band from Bristol in London named the Jacques. The claim their influence is Desmond Dekker…. Desmond Dekker? Isrealites??? What? It’s the pulse that feeds society. Rock n roll is a statement….. Spotlight Artist! Today’s spotlight artists are the main band that appears on the soundtrack of “Ghostroads – A Japanese Rock n Roll Ghost Story.” They are the Neatbeats! The Neatbeats are easy to understand for a foreign audience. They are the Japanese Beatles. But this is no crap cover band. No siree! The Neatbeats are one of the best, and most entertaining bands I have ever seen in my life and I have seen LOTS and LOTS of bands. This is the main “Hook” track from Ghostroads but this is the original promo video. It’s great! It’s time once again for the Top 3 Indies Artist Video Countdown of the Top 3 best Indies and Alternative Music artists for the week of Sept 23, 2017! We have three brand new tracks for you today! First up is the newest from the Australian band, the mighty Cosmic Psychos who have just released this cool video and are now on tour… (With opening act, Amyl & The Sniffers – My fave new band of the year! Check Amyl & The Sniffers out here: http://robot55.jp/blog/top-3-videos-81117-amyl-the-sniffers-spam69-jpn-draggs-cosmic-psychos/) In fact, this hot new track by the The Cosmic Psychos has a shot or two of Amy Taylor of Amyl & The Sniffers doing back vocals! It’s just a few days before the World Premiere of Ghostroads – A Japanese Rock n Roll Ghost Story. Ghostroads premieres 9/25 and again on 9/28 at Raindance in London.Raindance has been ranked as one of the “Top 10 Most Prestigious Film Festivals in the World.” Ghostroads is a Japanese rock n roll ghost story; it’s a Hard Days night with a Faustian Twist. The film will premiere on 9/30 in Japan at Humax in Shibuya. It’s going to be a gas and it features today’s Spotlight Artist, the Neatbeats! Spotlight Artist! Today’s spotlight artists are another band that appears on the soundtrack of “Ghostroads – A Japanese Rock n Roll Ghost Story.” They are the Neatbeats! The Neatbeats are easy to understand for a foreign audience. They are the Japanese Beatles. But this is no crap cver band. No siree! The Neatbeats are one of the best, and most entertaining bands I have ever seen in my life and I have seen LOTS and LOTS of bands. This is the main “Hook” track from Ghostroads but this is the original promo video. It’s great! 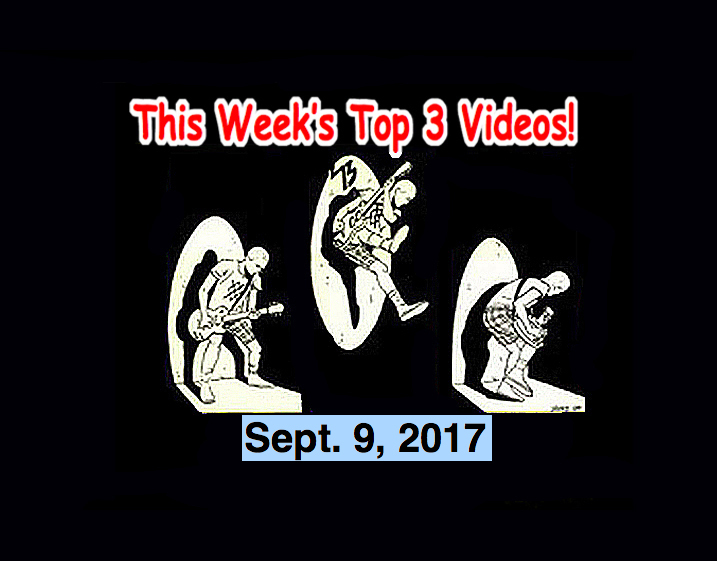 Top 3 Videos 9/9/17! The 50 Kaitenz (Jpn), Lisa Mychols, The Sold! & Bones!, Ya Freshness! This week’s #1 is the mighty Sold! And Bones. Another unnamed-famous-DJ-friend of mine told me that he likedThe Sold! And Bones, “Much better than Rancid!” Blashphemy!!!! Actually LOTS of fans in Japan are saying the same thing! And who am I to argue? Spotlight Artist! Today’s spotlight are another band that appears in “Ghostroads – A Japanese Rock n Roll Ghost Story.” They are the mighty “50 Kaitenz.” One of the most fun and entertaining concerts I have ever seen in my life and I’ve seen a lot of concerts. Danny, the lead singer of the 50 Kaitenz is starring in Ghostroads – A Japanese Rock n Roll Ghost Story. Top 3 Videos 9/2/17! Twinkles, Neatbeats, Peter118, Mr. Diagonal! It’s time once again for the Top 3 Indies Artist Video Countdown of the Top 3 best Indies and Alternative Music artists for the week of Sept 3, 2017! And, folks, I have some REALLY great stuff for you today. Especially this week’s #1. I promise that you will really love or hate this stuff. DISCLAIMER: To all my CIA or MI5 readers: I just write these countdowns & stuff, OK? I do not make these songs or videos. Oh and, I do not know where these people live either so please do not come looking for me. I know nothing! Nothing! At #2 is the newest from Stoke-on-Trent in the UK, Peter118! Peter118 is a punk band that brings a positive message. Today track was just released on August 31 and it is available on the ‘In Stereo’ EP split with No Lost Cause. Spotlight Artist! Today’s spotlight are a band that I consider to be Japan’s best Beat Band. They are known as the Neatbeats! I am dead serious when I say that the Neatbeats are the most fun and entertaining concert I have ever seen in my life and I’ve seen a lot of concerts. They are starring in Ghostroads – A Japanese Rock n Roll Ghost Story. They are the Neatbeats!